What Is The Output Impedance And Why Do I Even Care About It? The output impedance or source impedance Ri of a perfect signal source is 0Ω. When talking about DC voltage sources it is also called internal resistance (That’s why I call it Ri even though a guitar pickup is an AC signal source). A (passive) guitar pickup is by no means a perfect signal source (Ri > 0Ω). This means that the output voltage will drop when connected to a load (effects pedals, amplifier). This effect will be more significant the higher the output impedance of your guitar pickup and the lower the input impedance of your amplifier/effects pedal is (voltage divider between Ri and RL). Recently I simulated the circuit of a Fuzz Face with LTspiceIV and realized that the output impedance of the guitar affects the final output waveform of the effects pedal. You have to find out for yourself if you like the sound of those interactions or not. If you don’t like it you should reconsider the order in which your guitar effects are arranged in your signal chain. Buffer and booster/preamp pedals have a high input and a low output impedance. They can be used to preserve the original waveform coming from your guitar pickups when used as the first pedal in your signal chain. Active guitar pickups are even better than buffer pedals because the guitar cable is a (capacitive) load too. 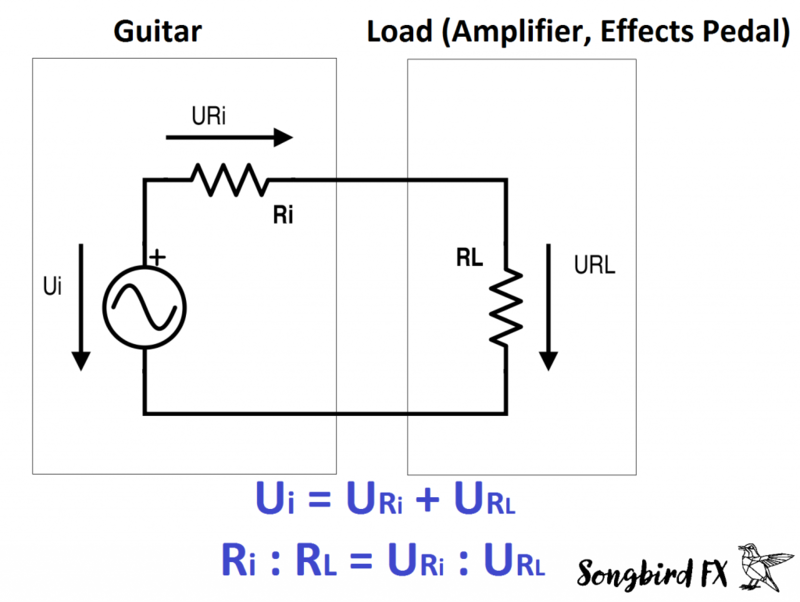 How To Measure The Output Impedance Of Your Guitar Pickup? 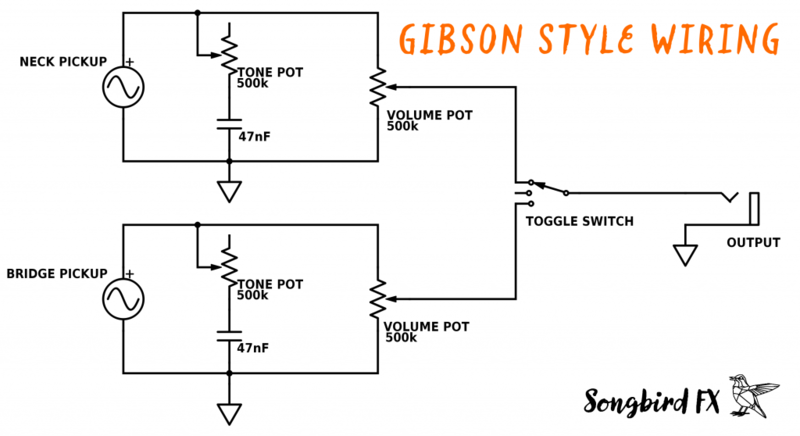 For measuring the source impedance of your guitar you will need an oscilloscope. If you don’t have one you can use my results because it won’t differ that much. By the way the exact model name of my guitar pickup is a Seymour Duncan SH-4 JB in bridge position. Turn your guitar up to full volume to make sure that the pots don’t influence your measurement. Then strum a note (I strummed the thicker E string). Strum the same note with the same intensity as before to get the best results. 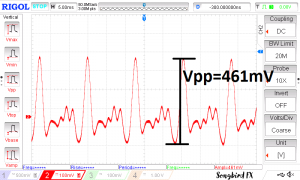 Finally we can take the voltage divider formulas from above and substitute the variables with our measured values. 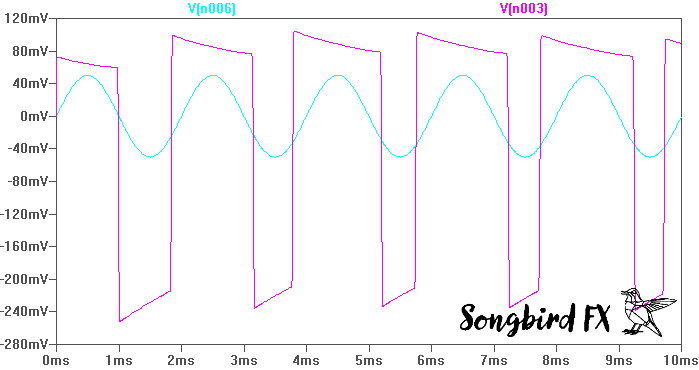 Result: The output impedance of my guitar is about 10kΩ. Note: The impedance changes with frequency. This result is only true for the lower E-string, however we can assume that it won’t change dramatically. 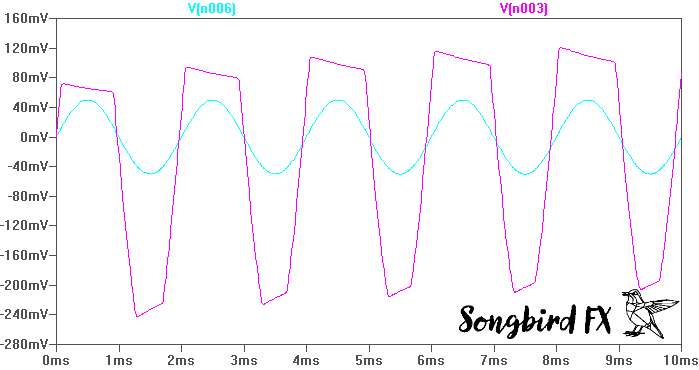 To get a more detailed result you can repeat this procedure at different frequencies (different notes). Are you tired of low 9V batteries in your pedals? This is now over! My company Songbird FX invented the world’s first USB rechargeable Overdrive pedal, the Bluebird Drive. Below you find a video of the Germanium version, produced by the great Mike Hermans. Selecting the right operational amplifier (short: op amp) for your DIY-project can be a hard task. The variety of op amps is comparable to the number of stars in the sky and the number of specifications in the datasheet is sometimes overwhelming, so how do you choose the right op amp for a specific project? In the following I want to give you an overview of the most important datasheet specifications that you should look after. This little guide is addressed to electronics beginners who want to dive a bit deeper into the topic of operational amplifiers. An operational amplifier is basically a differential amplifier with a very high amplification (ideally infinite). It has a non-inverting and an inverting input, an output and of course pins for the power supply. By using feedback from the output to one of the inputs you can realize many different circuits, for example inverting and non-inverting amplifiers (with finite amplification), integrators, differentiators, low-pass and high-pass filters and many more. For further reading on the different circuits check out Texas Instruments’ “AN-20 An Application Guide For Op Amps”. The one most important spec you should check in the datasheet is the Supply Voltage Range. You find it at Recommended Operating Conditions. If your Supply Voltage is too low your op amp won’t work properly, if it is too high you may even destroy it. This specification is sometimes overlooked. The Input Common Mode Voltage Range defines the allowed voltage range of your inputs without malfunction of the op amp. Op amps with rail to rail inputs have an Input Common Mode Voltage Range of V- < Vin < V+, others may include only the positive or the negative rail or neither. 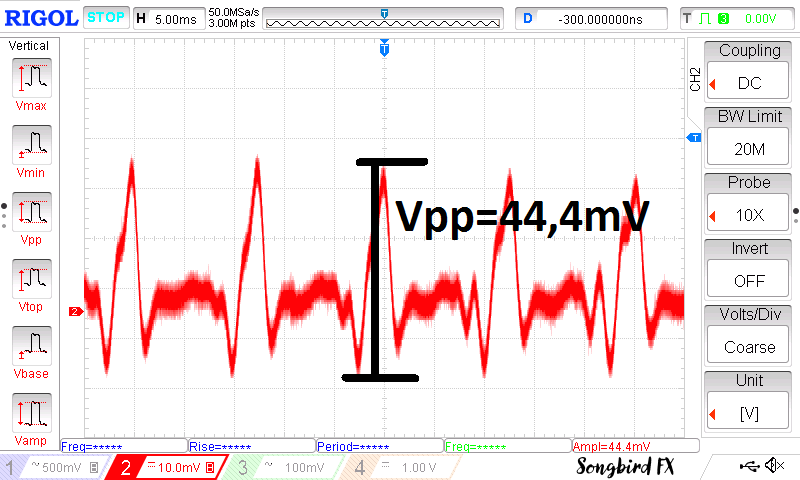 V- + 4V < Vin < V+ – 4V → at 10V supply voltage your input voltage range is only 4V to 6V. If you want to design your circuit properly you have to use the voltage range stated in the Recommended Operating Conditions (minimum values), however, if you are developing an individual item you can get by with using the typical values by screening the op amps. The Input Impedance of op amps is of special interest when the signal source impedance is high, for example when using passive guitar pickups. If so, you may want to choose an op amp with JFET-inputs (Input Impedance goes up to 1000GΩ). Op amps with bipolar inputs typically have Input Impedances of about 10MΩ. Op amps do not only amplify your source signal, they also add harmonics and noise. The Equivalent Input Noise and Typical Harmonic Distortion are either stated separately or mixed together as THD+N. For audio applications it is essential to choose an op amp with low noise and distortion. If your device runs on batteries it is important to keep an eye on the Supply Current. The Supply Current or Quiescent Current provides information on the energy consumption of the op amp without load. 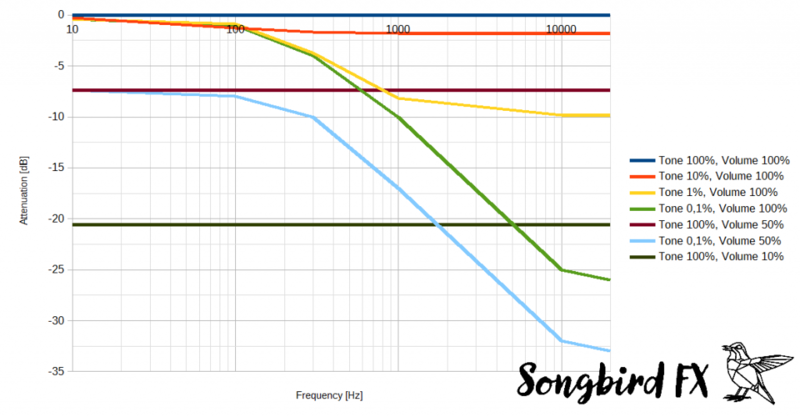 The Output Impedance is important if the load impedance is low, for example if you want to drive headphones or an LED. The Output Impedance has to be much lower than the load impedance, otherwise there would be a big voltage drop on the output (voltage divider between Output Impedance and load impedance). If you don’t find the Output Impedance in your datasheet the Output Source Current gives you similar information. For detailed information on the above stated specifications and more I recommend you to read TI’s “Understanding Operational Amplifier Specifications“. 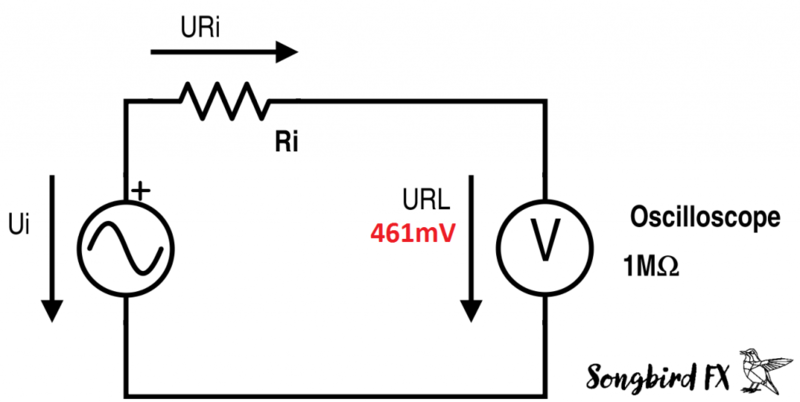 How Do I Find The Right Op Amp? I personally like to use the website of Texas Instruments, because I can type in the specifications that are important to me and the website then shows me suitable op amps including an approximate price. If you want to include other manufacturers too, a great way to do this is using the search function of a big distributor, e.g. Mouser. I hope this little guide is useful to you. 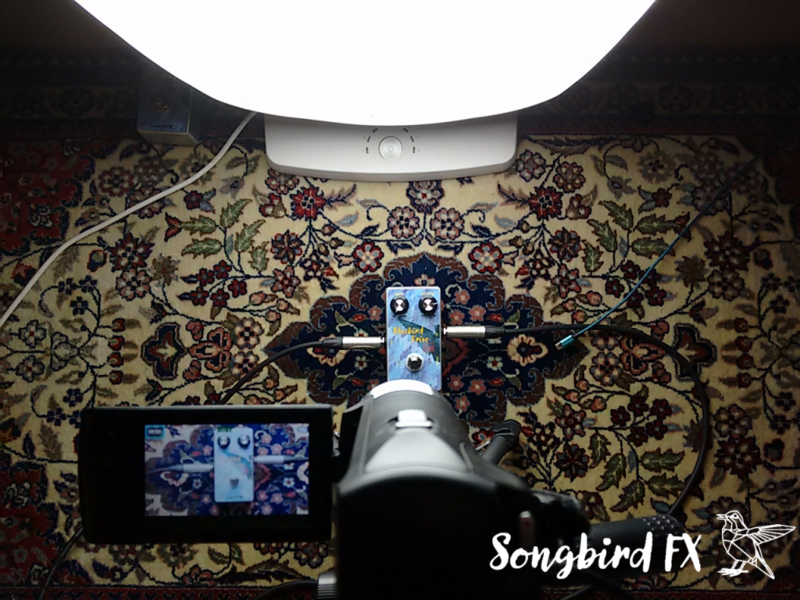 If you are a guitar player, please check out the products on this website: My company Songbird FX is a manufacturer of high quality micro-USB rechargeable guitar pedals. 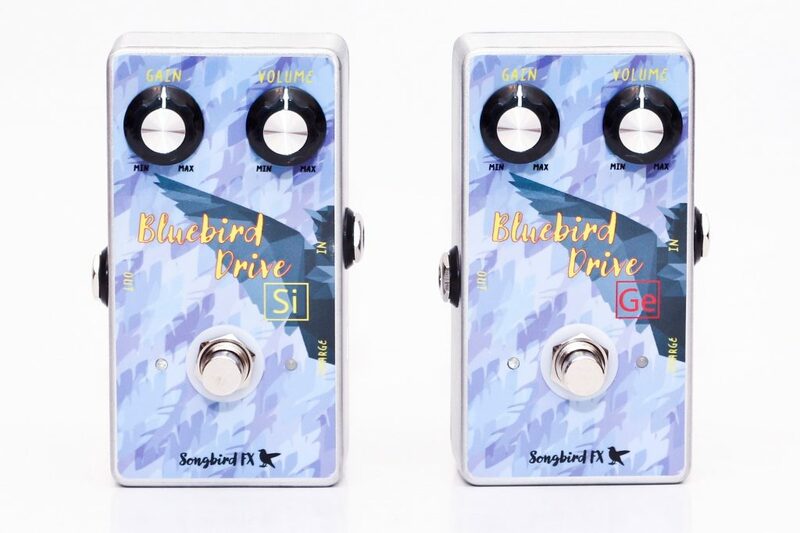 The product videos of the rechargeable overdrive pedals ‘Bluebird Drive Si’ (silicon clipping diodes) and ‘Bluebird Drive Ge’ (germanium clipping diodes) are now online. Which do you like best? Today the sale of the ‘Bluebird Drive’ guitar overdrive pedal started. You can purchase it directly from us via https://www.songbirdfx.com/products. The Bluebird Drive is a simple but effective overdrive that keeps the original timbre of the guitar and takes it one step further – no tone knob needed. It is the world’s first analog guitar effect, that is rechargeable via the included Micro-USB cable. Just plug it into your Smartphone wall charger or your computer and in less than two hours it will be fully charged. The integrated Li-Ion battery lasts for more than 100 hours of playing time. Highest build quality makes the Bluebird Drive the perfect choice for professional and semi-professional musicians as well as demanding hobby guitarists. Legendary 1N4148 silicon clipping diodes deliver a great range of sounds, going from clean boost to singing leads. Rare soviet D9D germanium clipping diodes (NOS) give you a sound that goes from warm overdrive to fuzzy leads. The asymmetrical clipping stage combines the characteristical low clipping threshold of germanium diodes on the positive half wave with higher output level on the negative half wave (achieved by connecting a silicon 1N4148 in series to the D9D). 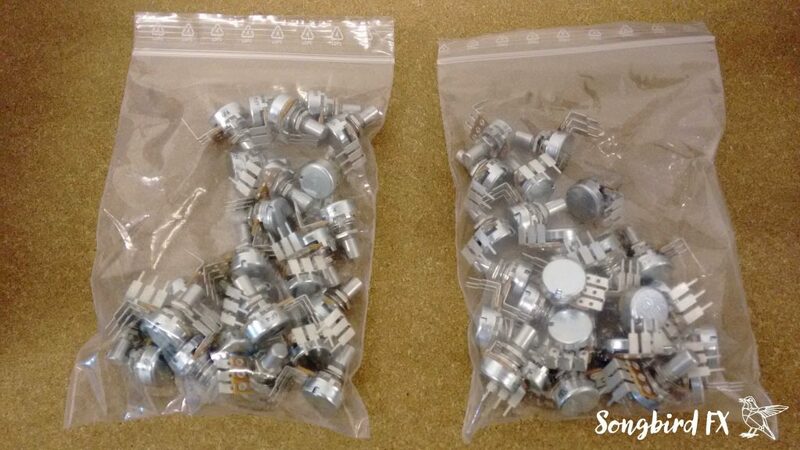 Last week the Alpha Potentiometers I ordered arrived. Now that all components are available the series production of the revolutionary Bluebird Drive pedals has begun. The Bluebird Drive is the world’s first analog guitar effect, that is rechargeable via Micro-USB. Soon the first pedals will be available for purchase, so stay tuned! This is my first post, so I’m going to introduce myself and my company. 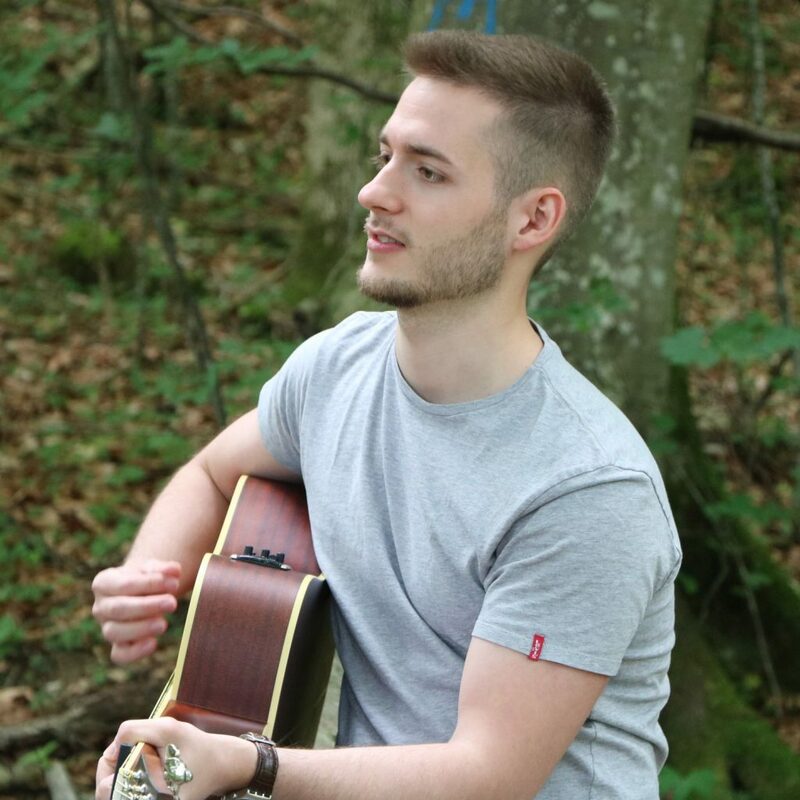 My name is Dieter and I’m the founder of Songbird FX. My profession is Electronics Engineering and I love to play Rock ‘N’ Roll guitar. 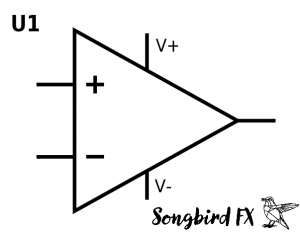 Songbird FX is a new guitar effects manufacturer that is based in Molln, Austria. Our first pedal, the Bluebird Drive is the world’s first analog guitar effect, that is rechargeable via Micro-USB. Did you ever want to play guitar through your favourite guitar effect but the 9V battery was empty and you didn’t have an AC adaptor at hand? 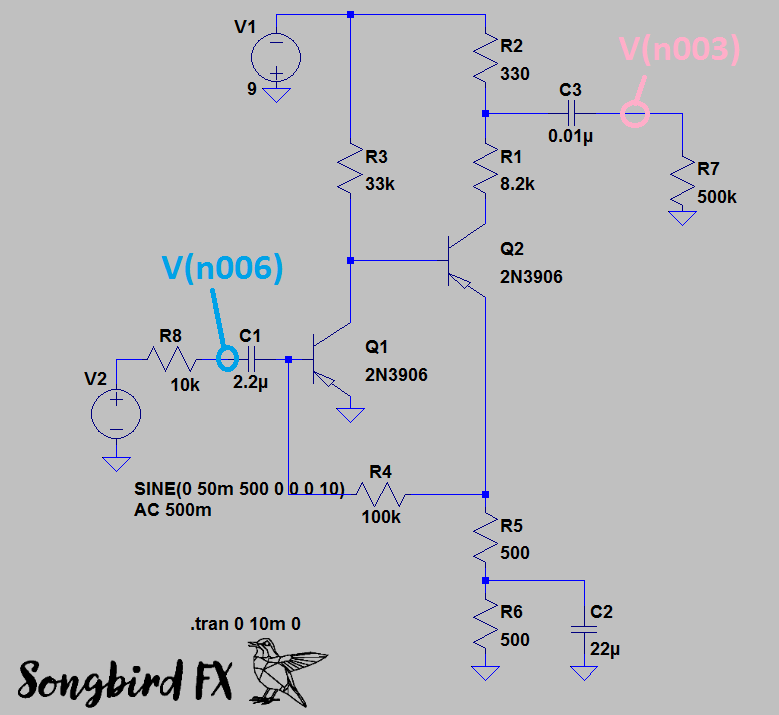 That’s what happened to me in December 2015 when I decided to develop a Micro-USB charging circuit for lithium batteries which I then combined with a vintage overdrive circuit – the Bluebird Drive was born. It has a battery life of over 100 hours and is fully charged in less than 2 hours. 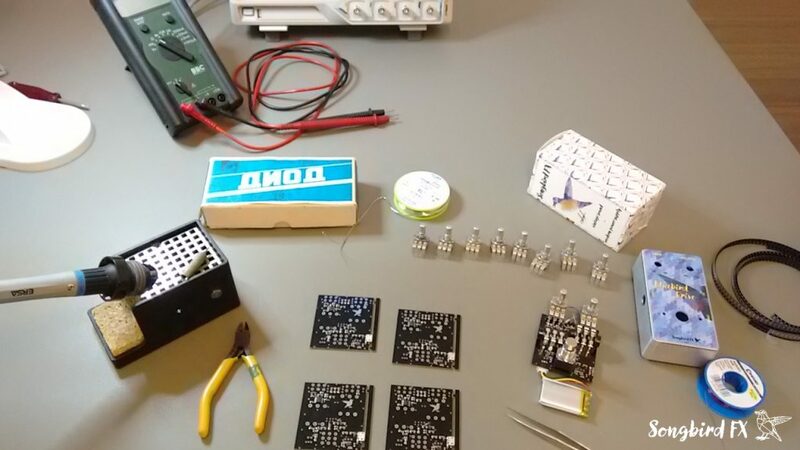 Currently I’m waiting for the last components to arrive so I can start production. In the next weeks the first pedals should be available for purchase, so stay tuned!